Rob Harasimowicz had served nearly 20 years in the Air Force when he received the diagnosis. "Here I was a person who was playing golf, I had a motorcycle, an avid baseball player," he said. He said one of the first signs: his feet felt numb, then it spread to other parts of his body. But the doctors couldn't find anything at first; a tasking process. "They put me on the MRI scanner for about three and a half hours and from there they started seeing the lesions come up on the brain and I had a C3 lesion in my neck..which is the big one," he said. 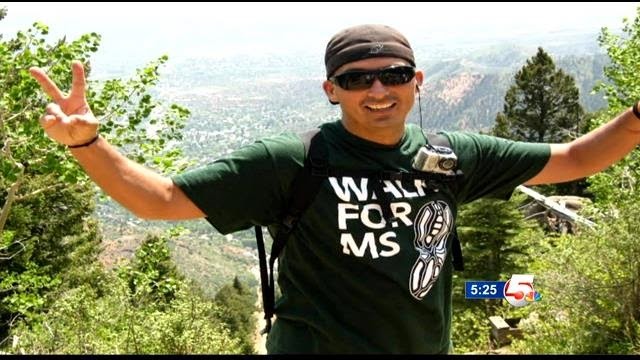 "They finally came up with the diagnosis of MS and that was a hard day," said Rob. Rob went through all the stages of grief, all with his wife Mary by his side. "Without her I wouldn't be here today," he said.